Tom Petty and the Heartbreakers have come full circle. They began, more than a decade ago, as a ragtag quintet of friends from North Florida playing uncluttered rock ‘n’ roll, and eventually came to experiment with diverse and wide-ranging sounds and ideas. With Let Me Up (I’ve Had Enough), their seventh studio album (to be released Monday by MCA Records), Tom Petty and his group — a little less ragtag, and a little more worldly-wise — have come back to the future. It took them 12 years, but they’ve finally made a great uncluttered rock ‘n’ roll record. Gainesville natives Benmont Tench and Stan Lynch, keyboards and drums, respectively, both agree that the last two years — much of the time spent touring with Bob Dylan — were positive for the band. Today they feel as sprightly as they did in their salad days. Over a four-week period last spring, sandwiched in between tours of the Far East and the United States with Dylan, the five musicians recorded more than 30 songs. Many of them, they only played two or three times, and were recorded to capture the spontaneity. 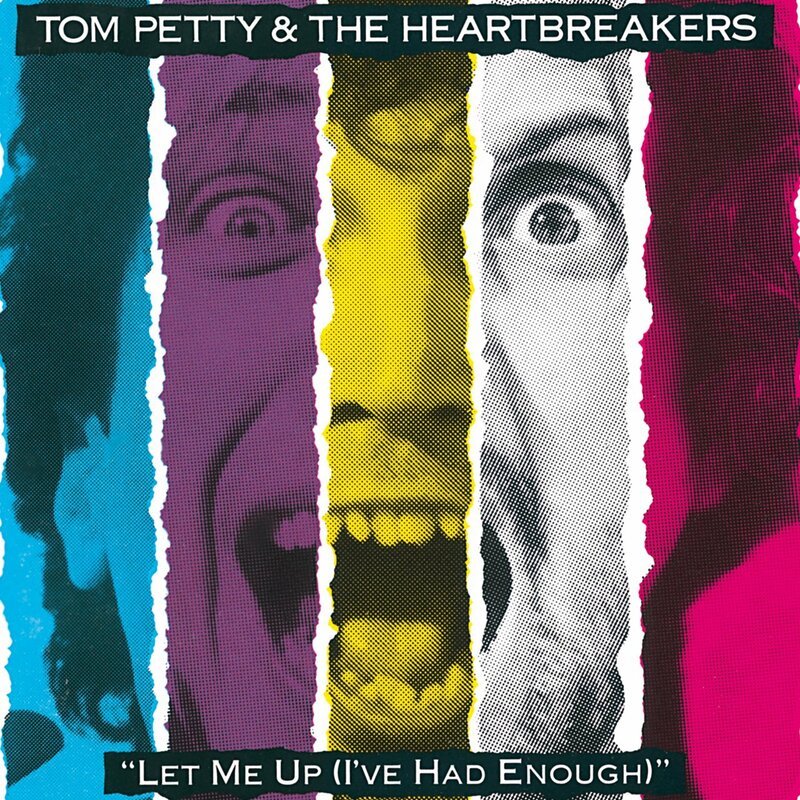 Petty and guitarist Mike Campbell produced the 11-track album, and there are no musicians other than the five Heartbreakers present. Overdubbing, even by the band, was kept to a minimum. Bass player Howie Epstein laid on harmony vocals to a few of the completed songs. Most of the numbers are straightforward rock-type songs (in 1987, “Petty-esque” is probably a good enough way to describe the band’s brand of guitar-based rock) with an ensemble sound, rather than lead guitar or keyboard, prevalent. There are very few solos. The exceptions: “It’ll All Work Out” is a ballad in waltz time, with an Oriental sheen. Campbell is featured on the koto, a Japanese stringed instrument. The score to the melancholy “Runaway Trains” is reminiscent of the synthesizer band Tangerine Dream, hypnotic and dreamlike. It’s also one of Petty’s most strikingly poetic lyrics (Campbell wrote the music, and Petty the basic melody. Lynch remembers that the song existed for several years without lyrics). With its moody synthesizer and sparkling electric guitar fire, “Runaway Trains” recalls “The Boys of Summer,” the song Campbell co-wrote a few years ago with Don Henley. It was a big hit for the former Eagle. “It does if you play it backwards,” Lynch says. Otherwise, “Let Me Up (I’ve Had Enough)” rocks. It’s not overtly literate (a good sign if one is on the lookout for genuine rock ‘n’ roll), but it’s not without its uplifting emotional moments. For every song like the title track, an all-out screamer (literally), there’s another like “Ain’t Love Strange,” that puts focused lyrics (“It can make you string barbed wire/Around your little piece of ground/For emotional protection/Oh but it’s too late now”) next to an exhilarating, seemingly spontaneous arrangement. “‘Ain’t Love Strange’ must have meant something to Tom,” Lynch theorizes. “I’m guessing, but I’ve seem that kind of reaction out of him, when we were doing that song ‘Insider’ a few years ago. Good, bad, or indifferent, he made psychic communion with that song. He had made an attachment to ‘Insider.’ He loved it. “It’s not Alachua,” offers Tench. Campbell co-wrote half the LP’s songs with Petty. Bob Dylan contributed some of the lyrics to “Jammin’ Me,” the album’s first single, which decries the media’s “information overload,” according to Tench. Following last summer’s American tour with Dylan, while Petty and Campbell were cooking up additional songs for “Let Me Up,” Tench went to England for a month-long tour with Elvis Costello. He played piano in Costello’s Confederates. The high point, for him, was a concert at the Royal Albert Hall in London, where Van Morrison sang a few numbers with them. A fanatic for popular music, Tench had long admired the reclusive singer. Recently, Tench has been recording with the band X, Rosanne Cash, and Ferghal Sharkey. The latter two have recorded new Tench compositions. 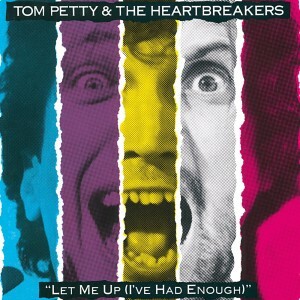 The Tom Petty & the Heartbreakers tour, in support of Let Me Up, begins in late May in Arizona. Rehearsals start in two weeks. “There’s no band,” Lynch says. “It’s a figment of everyone’s imagination unless they’re together. We don’t all live in the same house — it’s not like we’re young kids, we’ve all got lives, we’ve all got creative projects, so it (a tour) re-confirms to us that indeed, there really is a band. That’s what a band does — they play live. So the question of ‘Are we gonna tour?’ is really ‘Are we pro-band this year?’ They’ve decided that they are. After seven weeks of touring (with no stops scheduled for Florida), the Heartbreakers will take a month off and then connect once again with Dylan, with whom they’ll tour Canada, the southern United States, and Europe. They’ll also play Israel, Egypt, and several other countries in eastern Europe. Dates in the Soviet Union are still being mulled over. There’s prestige in playing there, Lynch and Tench admit, but no money. And that’s something to be considered. “Nobody knows any specifics, because it changes daily,” Lynch says. “Egypt and Israel are going to pay for the whole thing, so they’re critical in working the tour around. The Israeli dates will pay to bring a 747 full of equipment to that continent. “Those dates are going to coordinate with the start of the Jewish New Year, so they’re critical…the other stuff is being discussed. It changes all the time.” A southern American swing will reportedly bring Dylan and the Heartbreakers to two, or three, Florida cities. That attitude of Dylan’s made them remember the joy of spontaneous combustion, and its practical application to rock ‘n’ roll, and they were full of that joy when they went into the studio for Let Me Up during a lull in their tenure as his touring partners.